Dawa, will you be back on Everest this spring season? Yes, I would love to go but my client has not yet confirmed. What are your feelings before the start of the new season? I am feeling that everything will be normal this year as it was in previous couple of years. 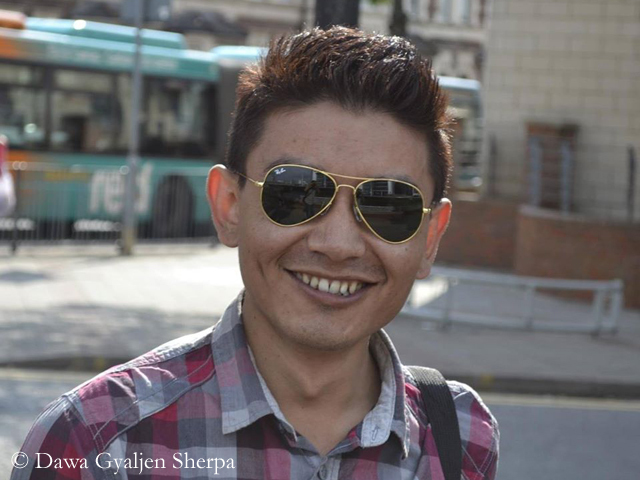 Are there any doubts within the Sherpa community due to last year’s events on the Nepalese side of Mount Everest? So far, there are no gossips around. 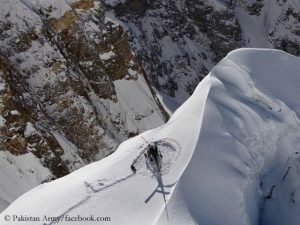 Most of the Sherpas are booked for the upcoming season. And the good and strong Sherpas are in high demand. Moreover, the families of the avalanche victims are getting help and donations. There will be a new route section through the Khumbu Icefall which is located more to the centre. What do you think about it? 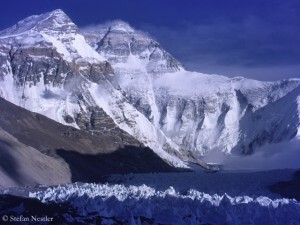 I think, the route through the centre would be safer than on the side to prevent icefalls from Lho La (Note: Col on the border to Tibet, the lowest point of the West Ridge) and Nuptse face. But it depends on the structure of the Icefall. In my opinion, we cannot guarantee until we get there. 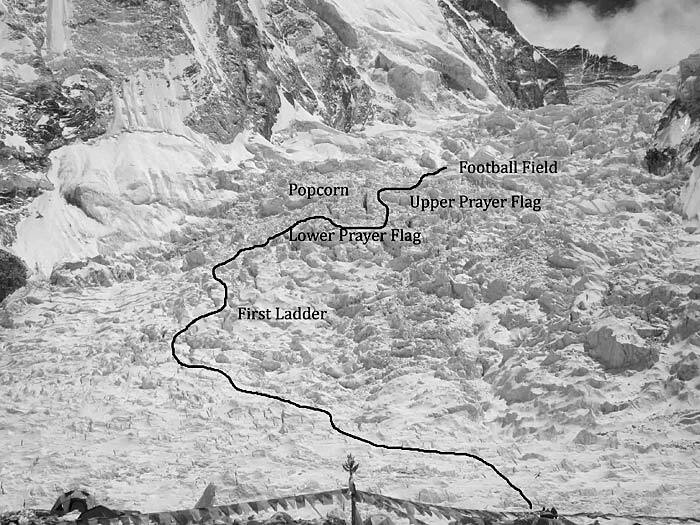 Last year, the avalanche occurred at the “Soccer Field / Popcorn” (Note: sections in the Khumbu Icefall) which was said to be a safer place in the icefall where the climbers take a tea break. 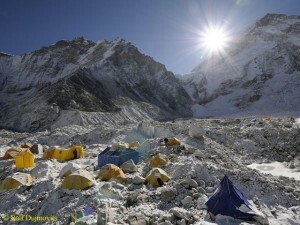 In my view: If the mountain guides fix the route, they cannot avoid the “Soccer Field”. Do you mean that enough was done to avoid conflicts between some Sherpa’s and western climbers as broke out last year and led to the premature end of the season? I feel sad concerning the incidents in 2013 and 2014, due to which our Sherpa community got a bad image in the eyes of the western climbers. Last year it was unpredictable. 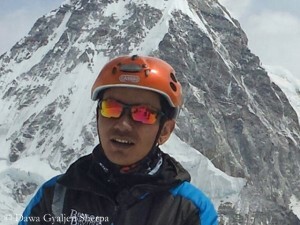 This year, to build up that image again there must be a peaceful environment which is up to the western mountain guides and Nepalese mountain guides. If they co-operate with each other and work as a team, there will be a good environment. 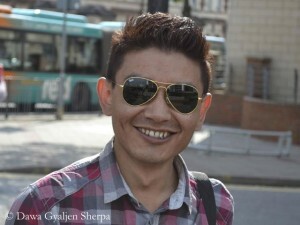 What’s about the Sherpas, who were the ring leaders last year? Do you expect that they once again will agitate in base camp? It’s about the future and I cannot predict what will happen. Last year, it was an all messed up situation, and to control the situation somebody had to take the lead. I do not blame last year’s leaders because they did it in order to control the situation. I think if they weren’t there, the situation could have been very worst. I don’t expect that there will be any argument about the last year’s topic. 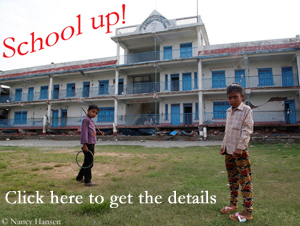 I feel sad about the innocent climbers who pay a huge sum of money to achieve their goal. But, there’s a big competition in business of mountaineering: between western companies and local companies; and western mountain guides versus local mountain guides. It’s simply a cold war inside. I’m writing this after reading the blogs in the social media. Do you think that all the involved parties on Everest are willing to change their attitude? 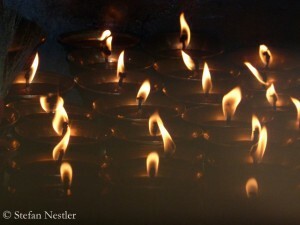 So far, I have seen that lots of Sherpas have understood the importance of Everest and the tourism for living. In this year, I think they will talk more about responsible tourism. As I mentioned earlier about the cold war, until and unless it comes to negotiation, it’s likely to create a conflict.